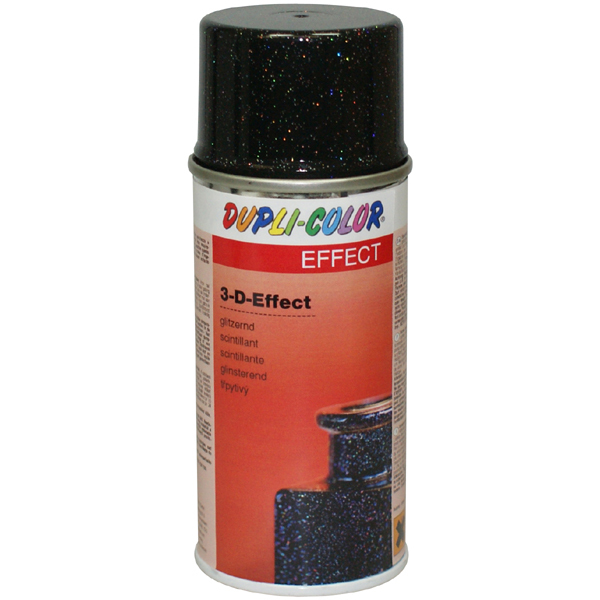 DUPLI-COLOR 3-D Spray changes the colour depending upon exposion to light and perspective of the viewer. 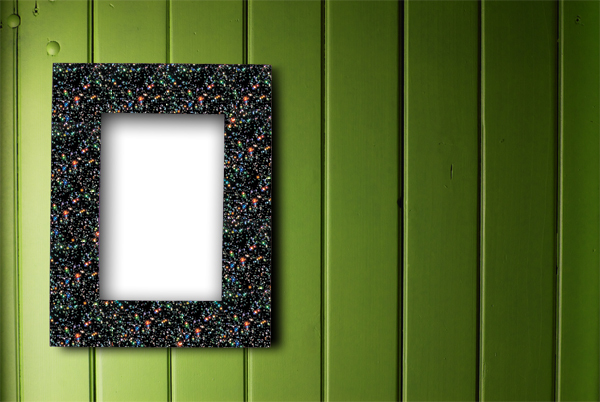 The obtained effect depends very strongly on colour and condition of the ground. Best effects will be achieved on dark undergrounds, e.g. 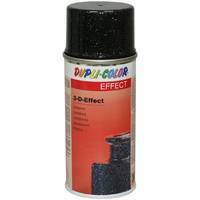 DUPLI-COLOR Effect Primer black. Embellish and arrange picture frames, flower arrangements, balls, gifts and much more. Suitable for glass, ceramic, stone, metals as well as all surfaces, which are painted with acrylic or nitro lacquers. Also suitable for wood (being primed or painted). 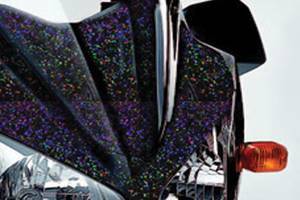 If you wish resistance against the weather, a protecting clear lacquer is essential (e. g. DUPLI-COLOR Zapon Spray or 2-Coat Clear Lacquer).